Loaded with advancements in automotive technology, the new 2019 Honda Accord is a force to be reckoned with thanks to its Honda Sensing®. dual-zone automatic climate control, LED headlights and alloy wheels. Visit Premier Honda in New Orleans, Louisiana to find your new Accord Sedan now! With its premium materials, high-tech features, sleek styling, and driver-assist systems, the 2019 Accord Sedan is in a class of its own when compared to some other mid-size sedans. From its ample rear legroom to its ample standard features, the new Accord impresses at every turn. Key systems include LED headlights, Honda Sensing® safety suite, and dual-zone automatic climate control. Along with its aesthetic design comes two powertrains to enjoy as well as a hybrid option. The Honda 1.5-liter turbo and 2.0-liter turbo engines offered in the 2019 Accord both feature the VTEC variable valve-timing technology plus direct injection to enhance both fuel economy and performance. A Hybrid option is available in the EX, EX-L, and Touring trims. If you are in the market for a new car, you will be glad you waited for the new 2019 Honda Accor. 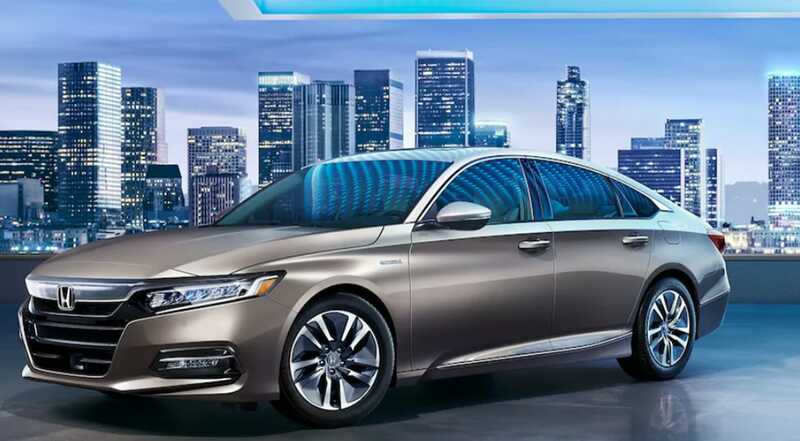 The new Accord represents an achievement in design while offering impressive fuel-efficiency, a sophisticated and spacious interior, and a quick jump off the line. The ergonomically designed Honda Accord cabin features high-quality trims, a leather-wrapped steering wheel and other soft-touch materials to ensure drivers and passengers alike can stay comfortable throughout the cruise. Thanks to the Head-Up Display, drivers of a 2019 Honda Accord can view pertinent information such as vehicle speed at a glance. With three impressive powertrains to choose from, customizing your 2019 Honda Accord to suit your on-road needs is a breeze here at Premier Honda. Explore the 1.5-liter option, the 2.0-liter turbocharged engine or the two-motor hybrid system that is available! With help from Honda Sensing® that comes standard, you can drive with peace of mind. Learn more about the features that are included, such as Adaptive Cruise Control and a Road Departure Mitigation System, by visiting our new and used Honda dealership near Metairie and Kenner.